Welcome to NPO YOU-I-KAI Homepage. NPO YOU-I-KAI is active for economically poor people (those who are receiving welfare protection and those living with pensions, etc. ), those who do not have a place of life, those who have no relationship, moreover, those who need assistance due to illness or disability, and those who have various reasons for not having a good living. 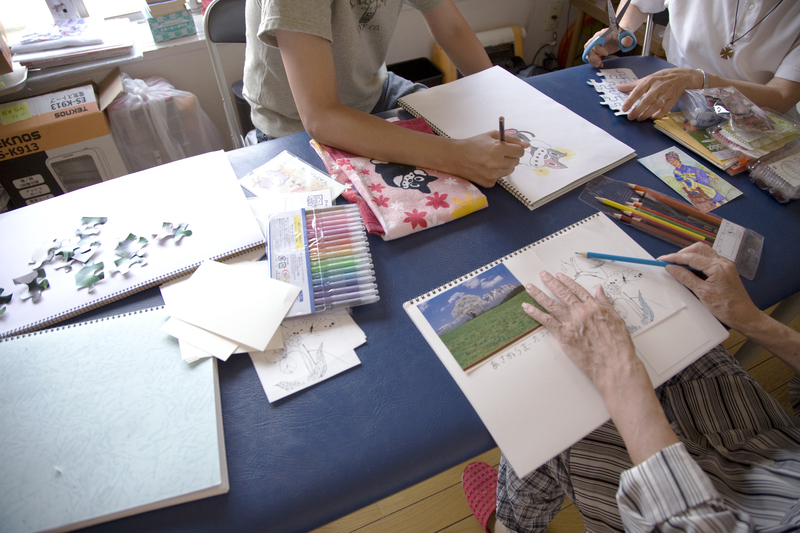 For that activity, we operate "YOU-I HOME", ”YASURAGI-NO-IE”, and ”STEP-UP HOUSE”. NPO YOU-I-KAI also do visiting nursing and careing. We are active in "Sanya" in Tokyo. Sanya is a slum-like town in Japan. Many homeless people and poor people live. At that location, we are helping former street dwellers,elderly living alone, domestic violence victims, mentally handicapped, intellectually disabled, former prisoners and so on. We work to boast confidence to a poor person, a lonely person and a sickness person, to be pleased, to hope, and to regain composure, safety, health, and energies. We work while walking by thinking with the people who suffer exceeding the principle, the insistence, thought, and the religion. We work so that the people who suffer are not deserted by the society through all the activities. Copyright © you-i-kai, All rights reserved.